Among the usual vacationing families, one can also spot executives in full suits – hashing out the next business deal or having a get together after a long day at the nearby convention center, and also – couples – young and old – enjoying a night out on the town at STK. As the sun begins to set, the bar area in the front is hopping as happy hour winds up with both drink and appetizer specials. 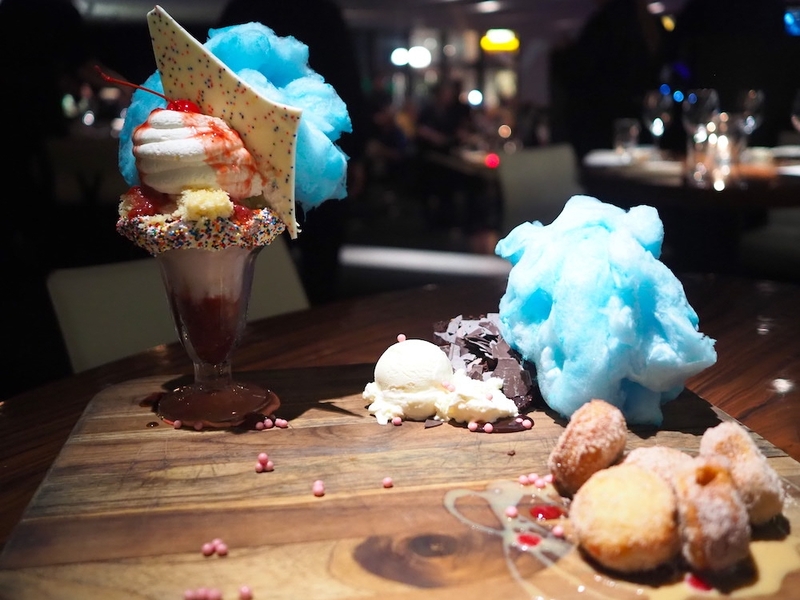 From the swanky atmosphere to the perfectly cooked dry aged steaks, STK is a cut above the rest – inarguably it is Disney Spring’s best steakhouse. 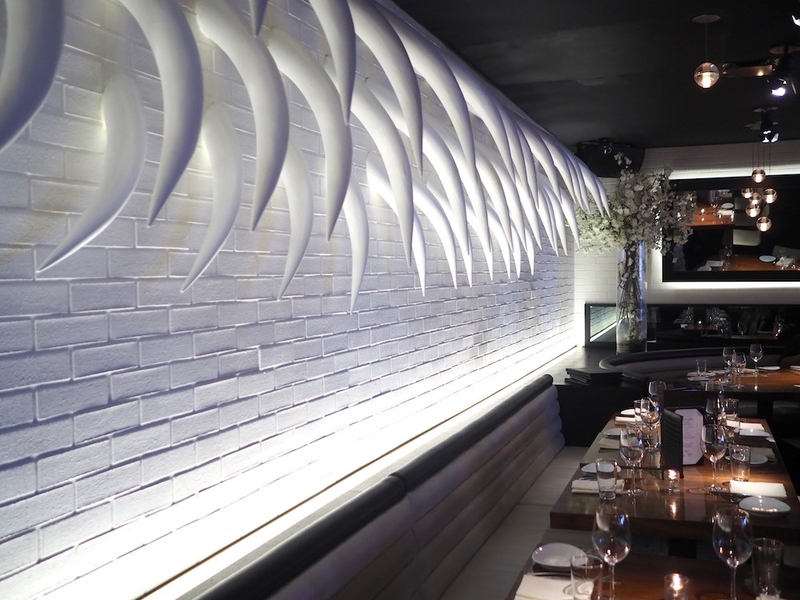 Inside, there is a decidedly ultra-modern and chic nightclub vibe with clean and minimalist white and black decor, as well as hot neon-pink accents. 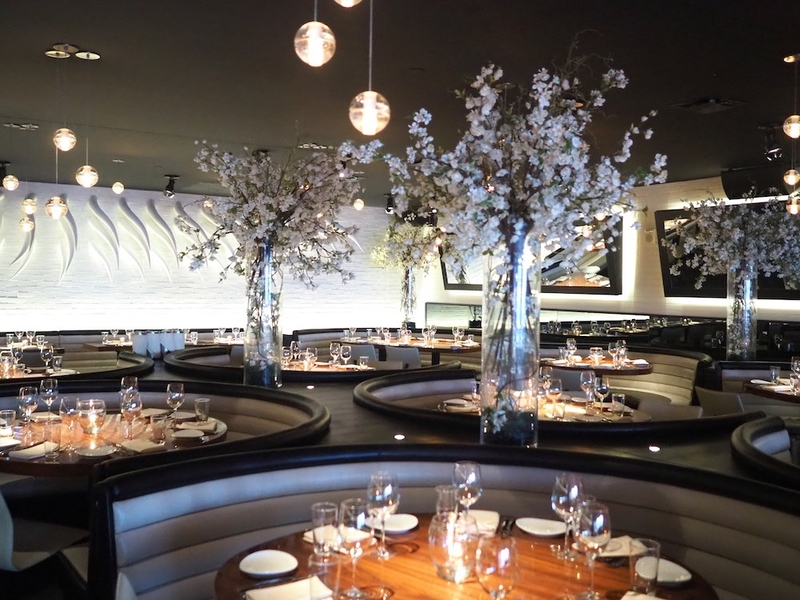 The 14,000 square-foot restaurant also has a beautiful rooftop terrace area. 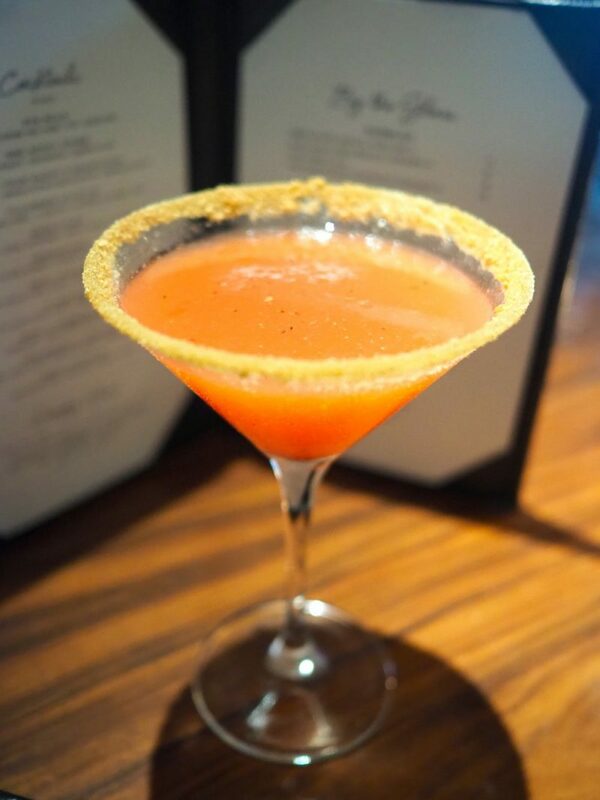 The music here is jumping with the in-house DJ playing the latest club hits as well as some throwback Miami old school dance jams from the 90s. 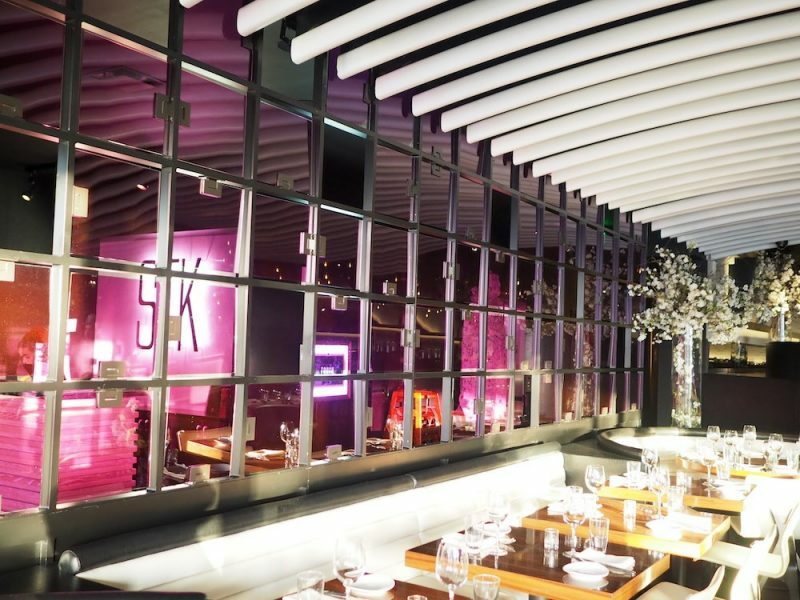 Inside STK, it feels like it could be a New Year’s Eve party here all year round. 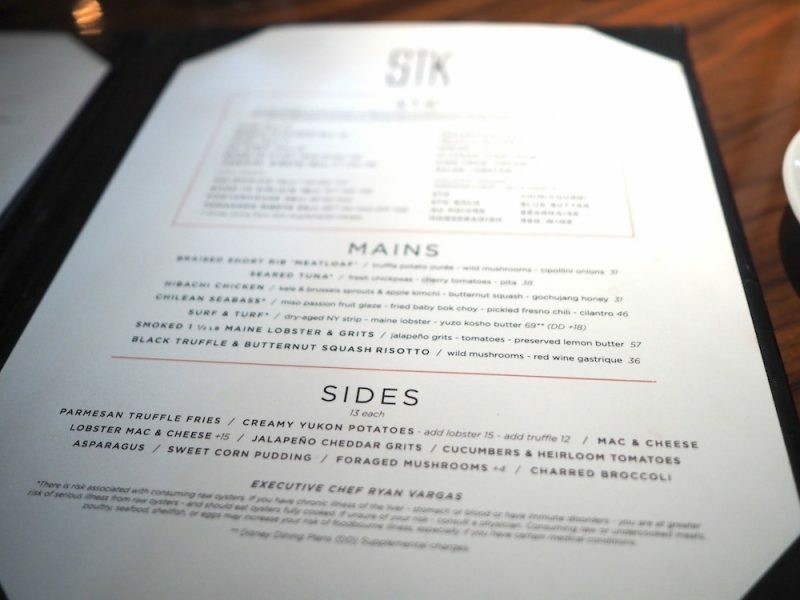 With the recent updates to the menu, we were invited to visit STK at Disney Springs to see what is new with the restaurant. 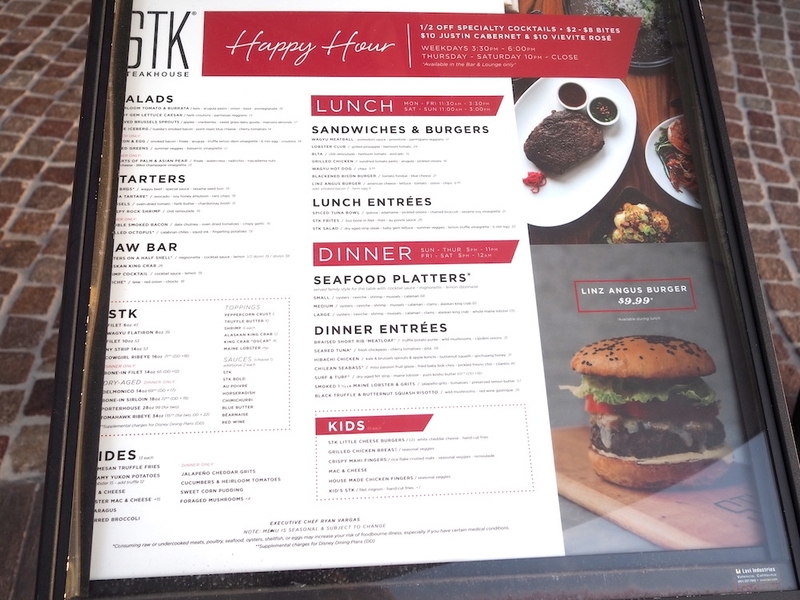 STK’s Chef Ryan Vargas brings more than 20 years of “chops” in the culinary arts, most recently at the helm of Emeril’s Tchoup Chop as chef de cuisine. 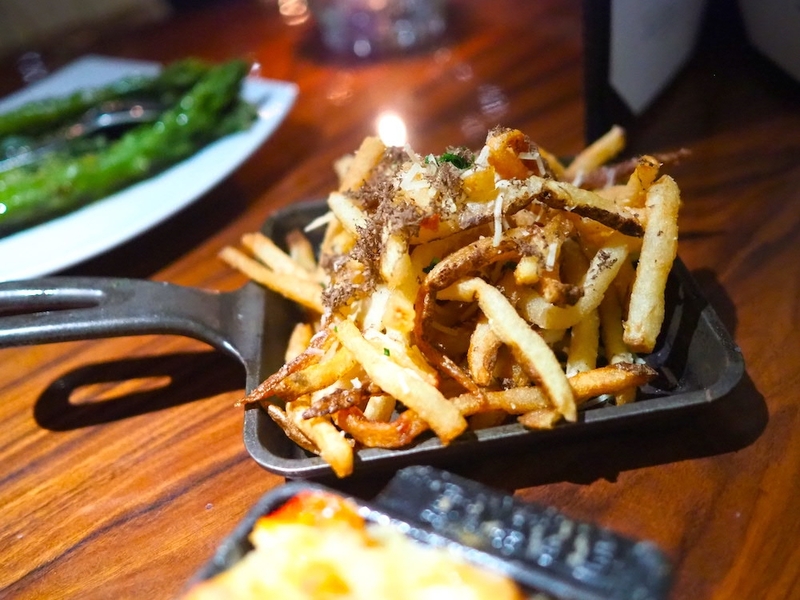 Vargas, a Hawaii native, has spent years leading the kitchens at some of the island’s top resorts, including the Four Seasons Resort in Hualalai and the Ritz Carlton in Kapalua Maui. 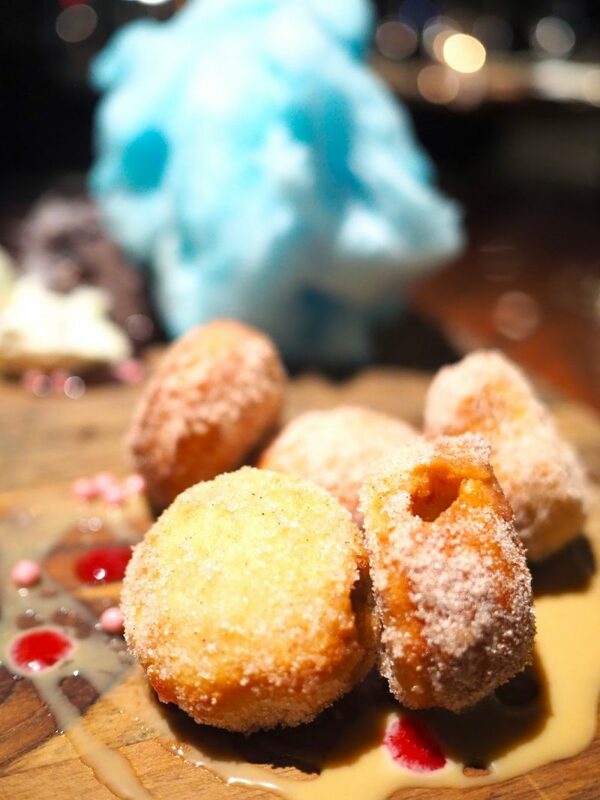 You can tell there are some influences from his Hawaiian heritage on the menu with items such as the “bag o donuts” found on the dessert menu – reminiscent of the Portuguese style malasada donuts popular on the island. 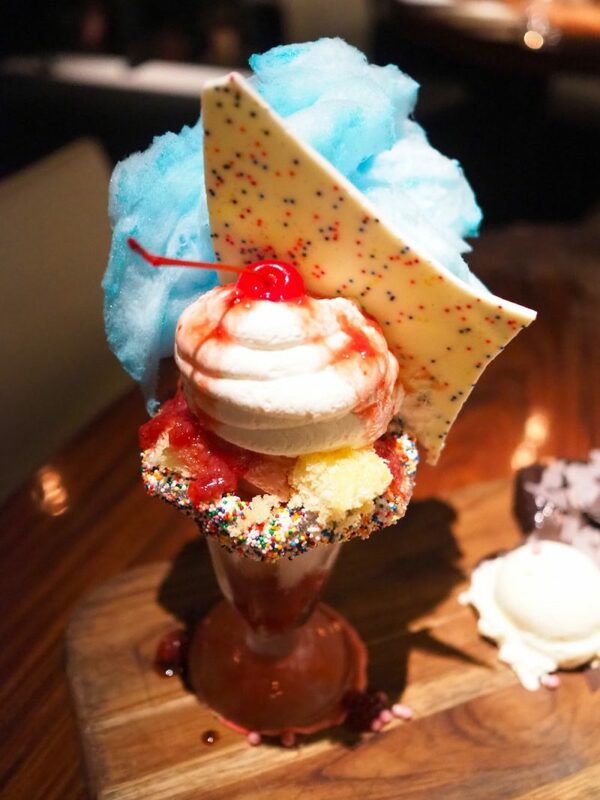 A graduate of the famed Culinary Institute of America at Hyde Park, N.Y, Vargas also led the kitchen at the Four Seasons Resort in Palm Beach, FL, where in 2011 he was voted as “Palm Beach County Best Chef” by the Palm Beach Post before coming to Orlando. 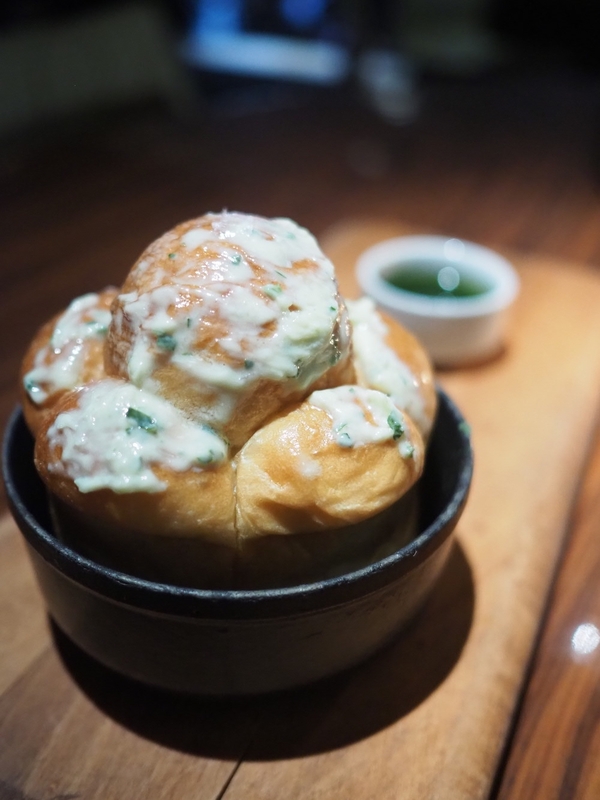 The sweet and savory house STK bread rolls are perfect for sharing and pulling apart, topped with a dollop of bleu cheese butter sauce and served with pesto for dipping. 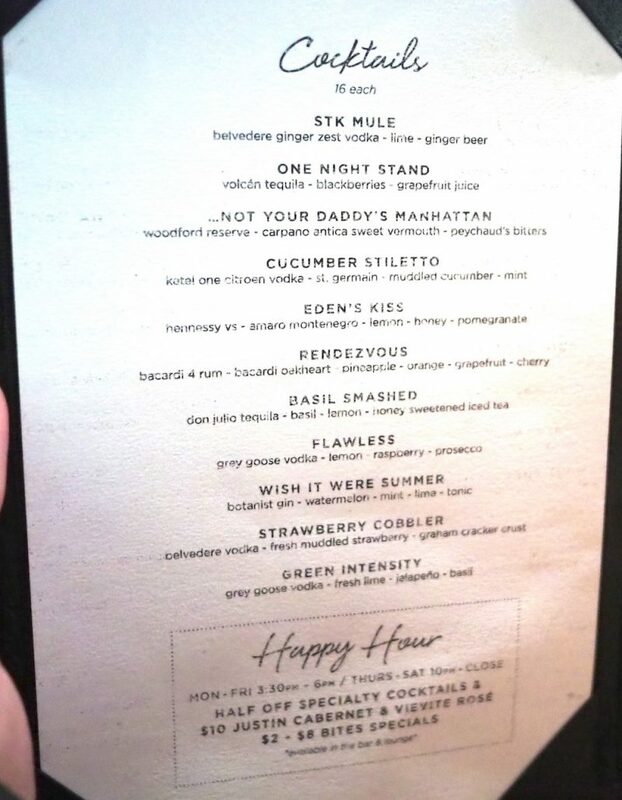 Popular cocktails here include the Cucumber Stiletto (ketel one citroen, st. germain, muddled cucumber, mint), STK Mule (purity vodka, lime, ginger beer), and the fanciful Strawberry Cobbler (belvedere, fresh muddled strawberry, graham cracker crust “rim”). 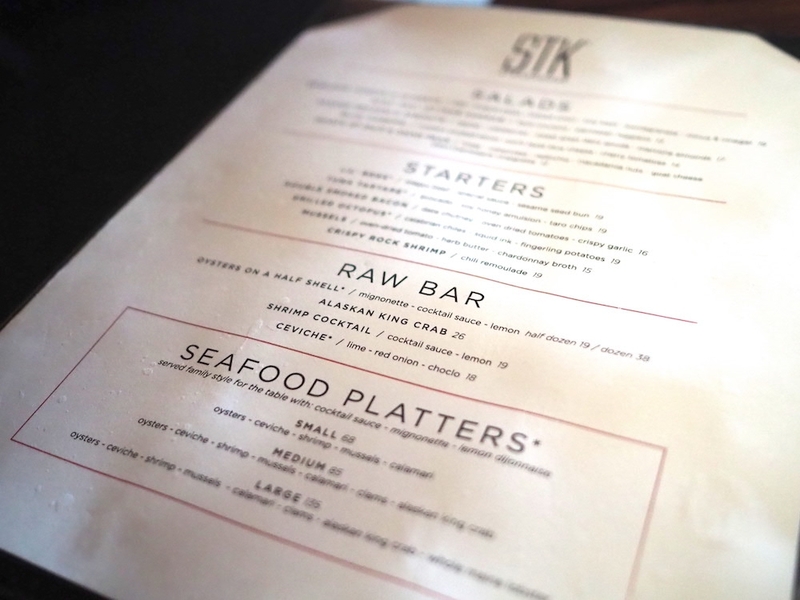 STK has an impressive list of appetizers: from crispy rock shrimp to mussels in tomato butter chardonnay broth, to jumbo shrimp cocktail and freshly chucked oysters. Why not have a little bit of everything with a Seafood Platter for the Table? 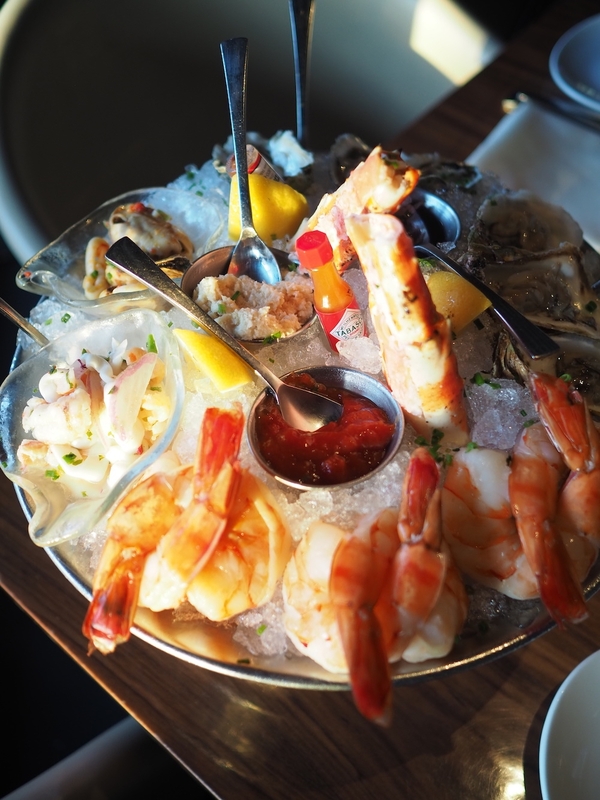 The Seafood Platter is breathtaking – coming in three sizes, with the base starting at small with oysters, ceviché, shrimp, mussels, and calamari, medium sized (includes everything from the small and adding clams and Alaskan king crab), and finally large (including everything plus a whole Maine lobster). 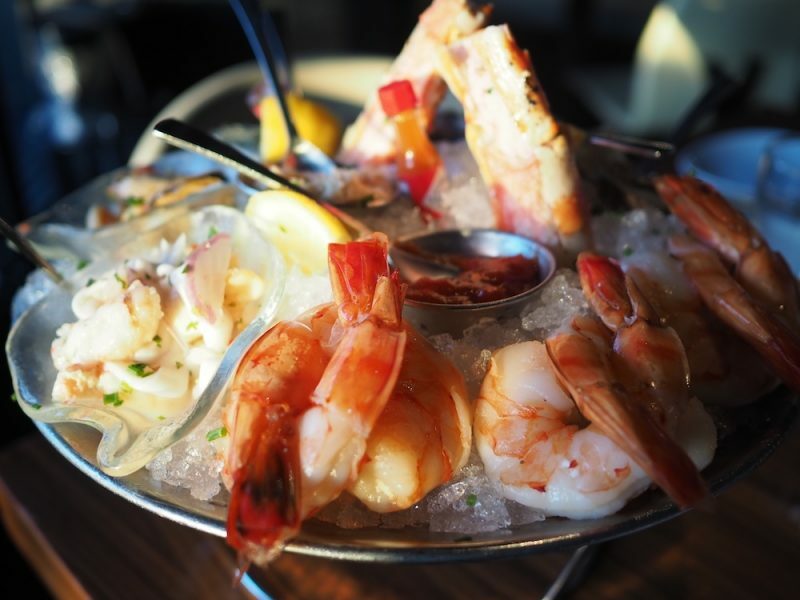 The seafood is brought in fresh daily and you can taste it in the refreshing flavors of the jumbo shrimp and ceviche. 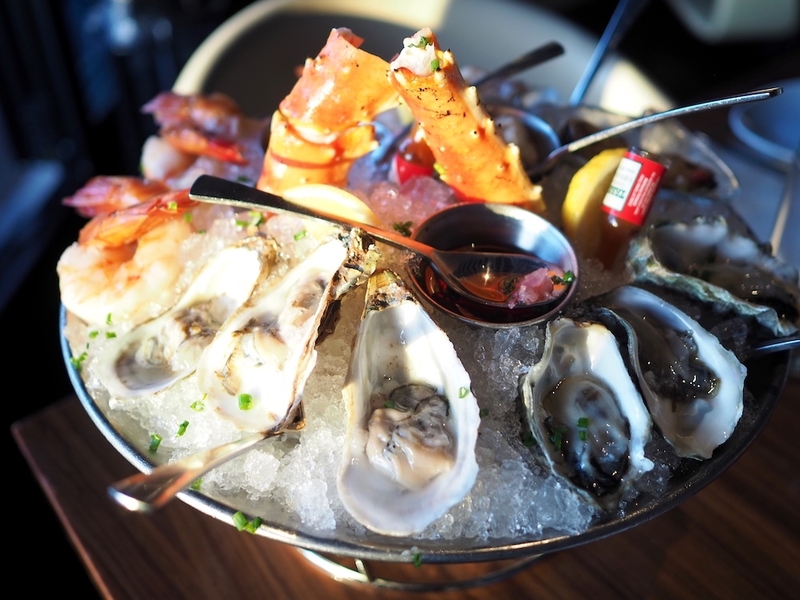 The oysters are brought in from both the West Coast and the East Coast, allowing you to taste the subtle differences between the two. 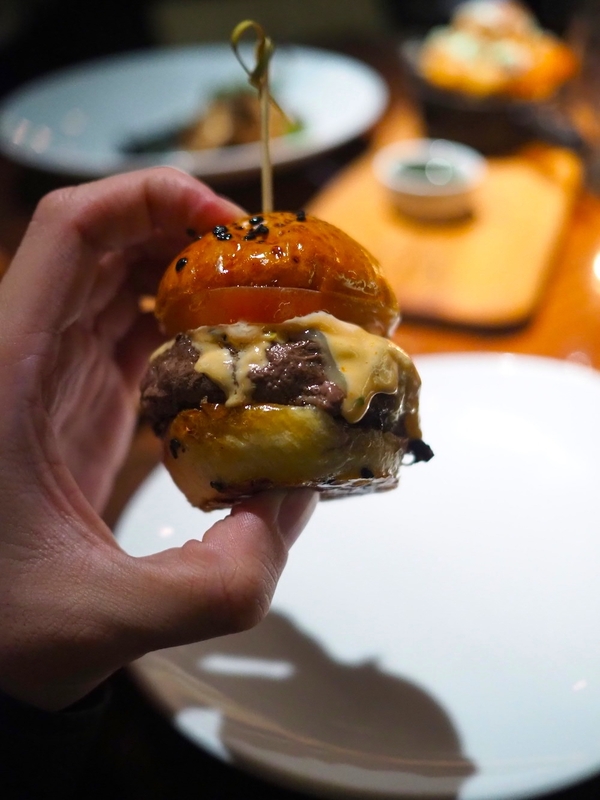 For those wanting a small taste of the burgers, try the “Lil’ BRGs”, STK’s signature sliders made from wagyu beef, special sauce, and house-made sesame seed bun. The beef is melt in your mouth tender. My favorite starter was the humbly named, yet stunning Grilled Octopus dish. 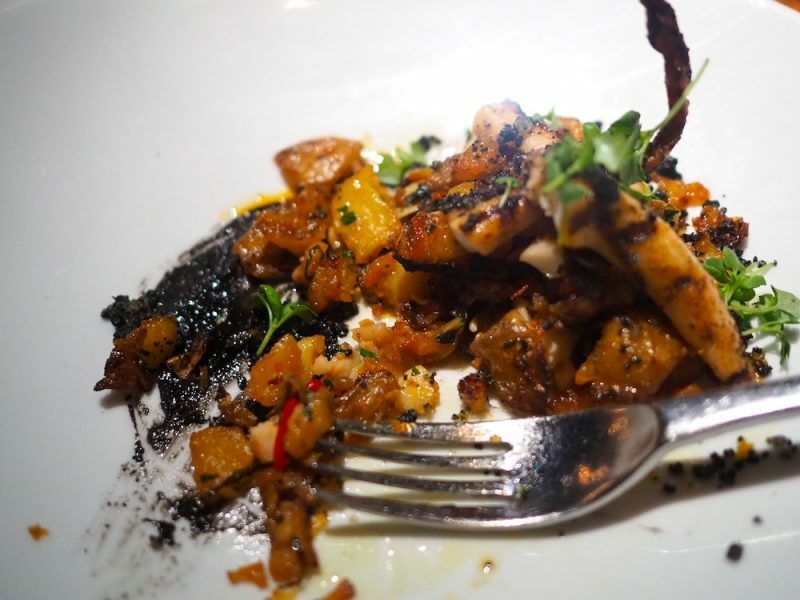 This dish is a work of art – crunchy bits of fried fingerling potatoes, a brush of squid ink reduction, spicy sweet Calabrian chilis, and perfectly cooked tender yet crispy grilled octopus. 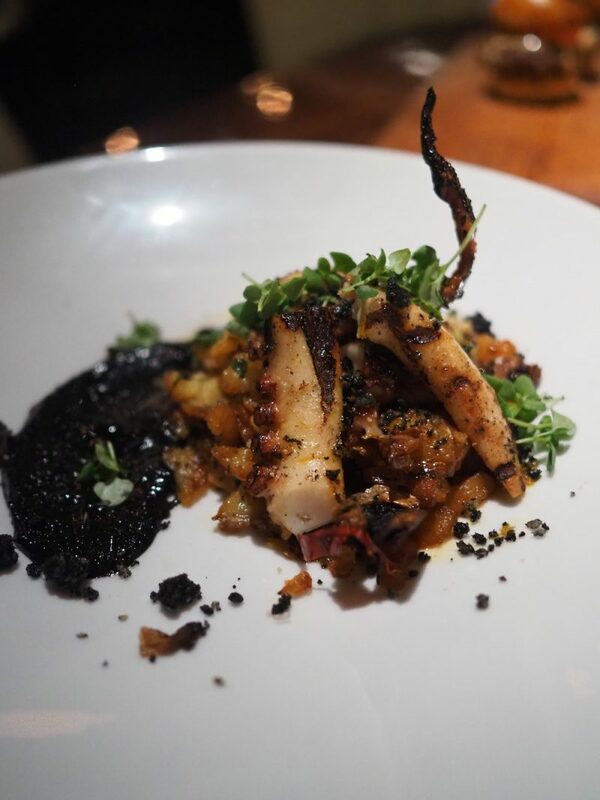 One of the best dishes I have had this year – with textures of crunchy and soft as well as a vibrant sweetness from the savory grilled octopus. 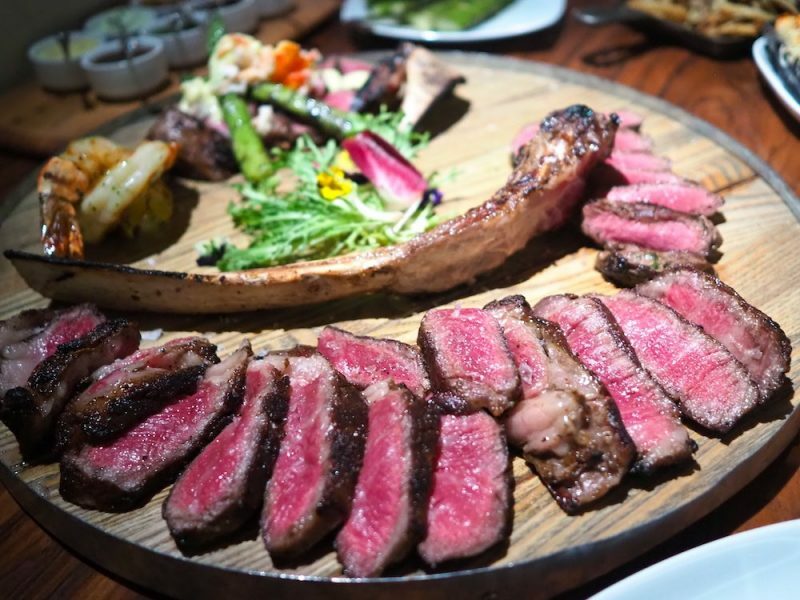 For a restaurant called STK, the steaks here are great – juicy and flavorful cuts of dry-aged beef. 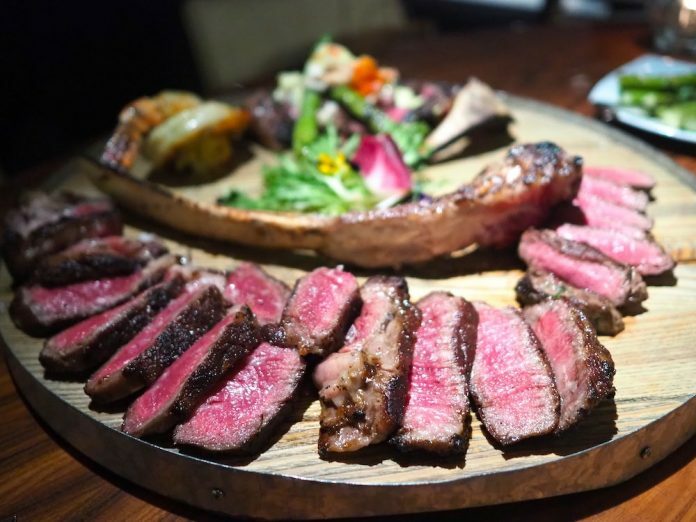 For those ordering in large groups, the presentation that STK provides is jaw dropping – laid out on a platter are stunning tender slices of perfectly cooked 34 ounce medium rare dry-aged Tomahawk ribeye steak complete with a chargrilled bone big enough to please your inner Flintstone. 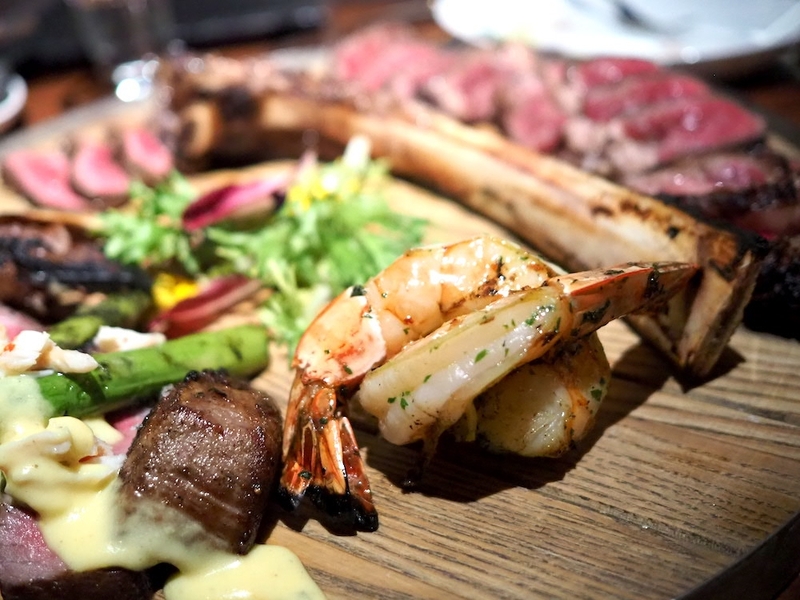 Along with the steaks, guests can order toppings and sides including jumbo shrimp, Maine lobster, or have their choice of steak prepared King Crab “Oscar” style with a bernaise sauce and fresh chunks of crab leg on top. 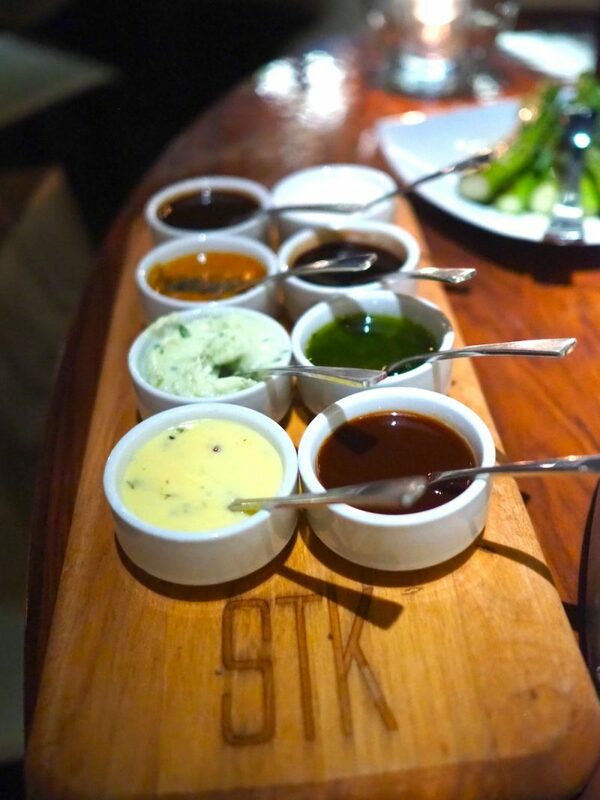 STK provides up to 8 different choices including their signature STK sauce, STK bold, Au Poivre (pepper sauce), horseradish, chimichurri, Blue Butter, Béarnaise, and Red Wine sauces for your topping or dipping pleasure. 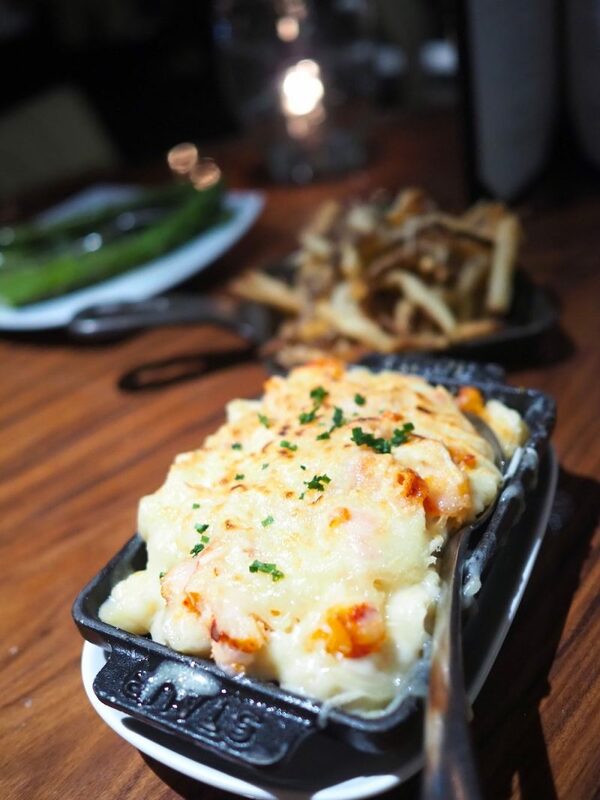 For sides, there’s the traditional asparagus, fabulous truffle fries, and creamy mashed Yukon potatoes, but I don’t miss the Lobster Mac and Cheese – topped with tender pieces of lobster tail and covered with a crispy cheese top layer. 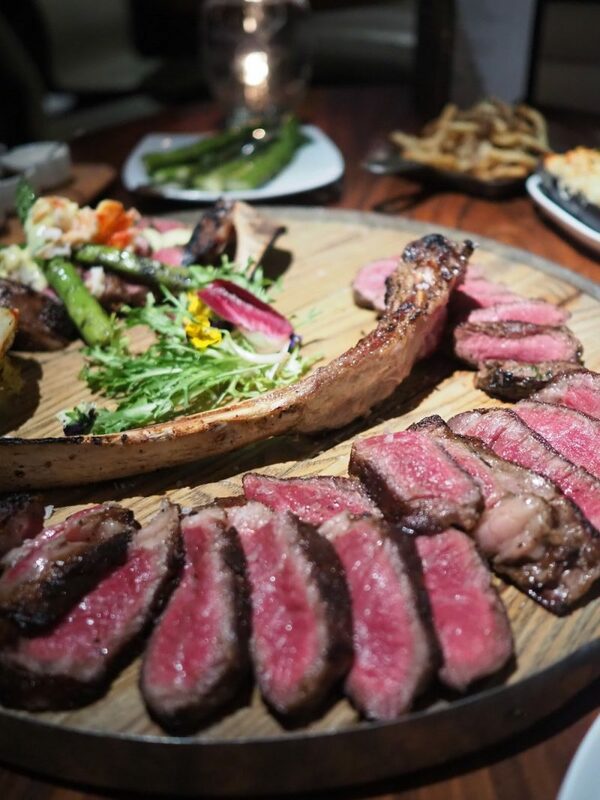 Dry-Aged Bone-In Sirloin 18 oz. 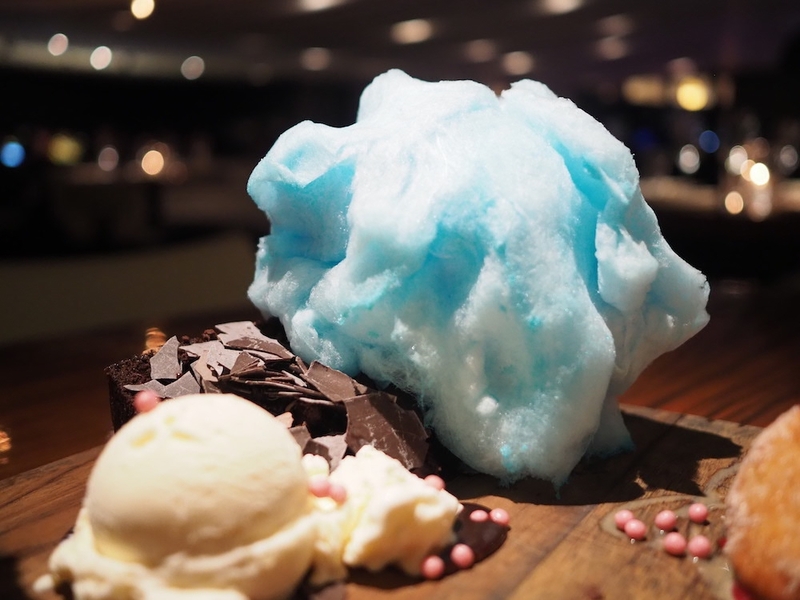 Not to be missed are the desserts which have a whimsical, fanciful, playful nature to them. From the chocolate crack brownie cake with cotton candy and vanilla ice cream to the strawberry sundae and bag o donuts, these desserts are definitely a fun showstopper and a perfectly sweet way to end this meal. 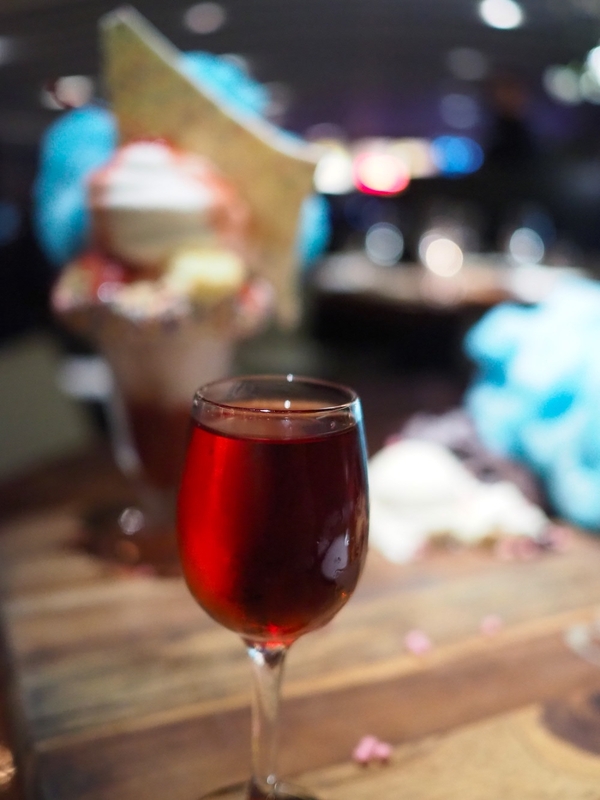 Service here is excellent with a very knowledgeable and accommodating staff, and even a house sommelier who can provide expert wine pairing advisement throughout the meal. 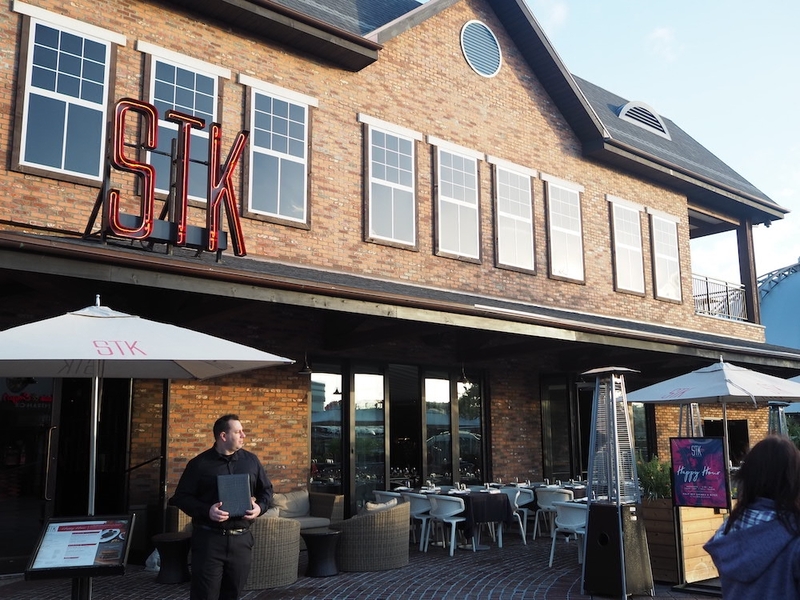 STK at Disney Springs is definitely not to be missed for not only steak lovers but all lovers of good food, especially under the helm of Chef Ryan Vargas and his talented culinary team. 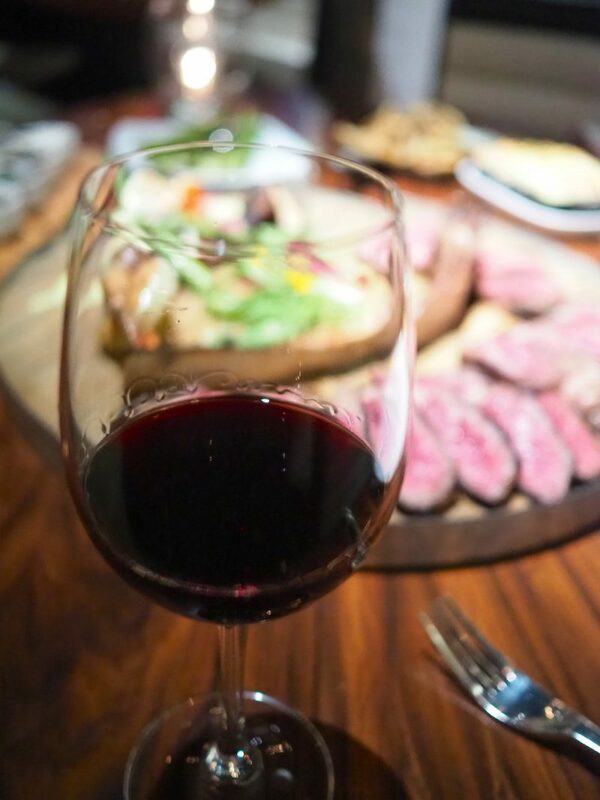 NOTE – Advance reservations are highly recommended and can be made online or by calling the restaurant directly at (407) 917-7440. 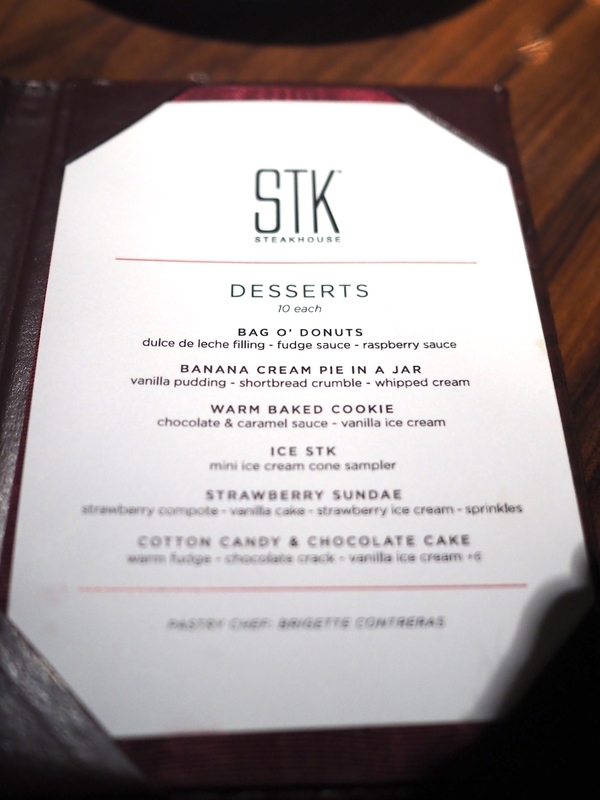 STK Orlando is open for lunch and dinner daily as well as weekend brunch (Saturdays and Sundays only). Same-day bookings are not accepted. A deluxe private dining room is also available, which can be rented for functions and special events.